California International Business University (CIBU) was formed in 1995 to blend American and Scandinavian approaches to business studies. CIBU partners closely with the Niels Brock Copenhagen Business College with eventual plans to merge the schools. CIBU is accredited by the Accrediting Council for Independent Colleges and Schools (ACICS). 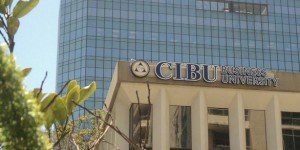 CIBU is located in downtown San Diego overlooking the San Diego Bay. Situated in the city’s business district, the campus is within walking distance of many tourist attractions. Furthermore, CIBU is near the Pacific Rim and only a few miles from Tijuana. CIBU is located in very close proximity to the San Diego International Airport, just within three miles of the facility. With graduates from Harvard, the Wharton School of Business, Cornell, and Stanford, the CIBU faculty is made up of 16 distinguished members. Professors emphasize an understanding of global business environments. Recently, 93 students matriculated at CIBU. Thirty-five completed the requirements within the prescribed timeline, and all 35 graduated. CIBU offers a Master of Business Administration (MBA).